History is about more than studying the past. It's about preparing for the future. 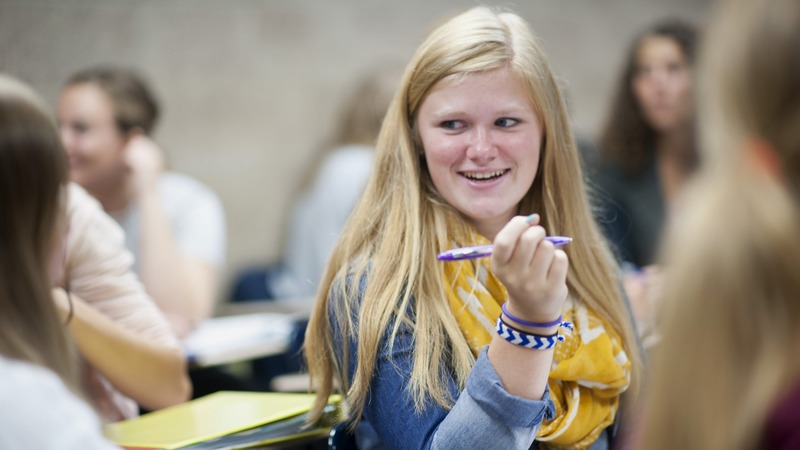 In the Department of History at Bethel, you'll follow your passion for the past while honing skills valued by employers, including research, critical thinking, and communication. You'll also cultivate empathy, humility, comfort with complexity, and other traits that Christians need to live in the world without being fully of it. In Bethel’s Department of History, you’ll study everything from ancient Rome to modern America, exploring significant social, cultural, religious, and political developments from the past. Professors provide personal attention as you make original contributions to scholarship. Plus, you’ll be in close proximity to excellent local archives such as the Minnesota History Center. Our campus archives also provide a way to get hands-on experience cataloguing documents and artifacts relevant to our university and the denomination with which we’re affiliated. And if you want to study farther afield, our study abroad opportunities provide a way to analyze the interconnectedness of our larger world. You’ll leave prepared for global citizenship, influenced by an intelligent, Christ-centered faith. It’s about taking our faith in Christ and integrating it into everything we learn, into everything we do, so we can accomplish incredible things—in our careers, in our communities, and in our world. Our friendly department, manageable class sizes, and opportunities for mentoring make it easy to get to know professors, who are committed to forming whole and holy persons. Our professors are passionate, innovative teachers. They're also campus leaders in team-teaching and integrating technology and new media into the classroom. Student teaching assistants work closely with faculty and gain valuable experience in teaching, research, or administration. You can also apply for internships in local archives and libraries like the Minnesota Historical Society and the History Center, Archives of Bethel University and Converge Worldwide (BGC) directed by our own Professor Diana Magnuson. Bethel history faculty and students are on the cutting edge of their discipline as it enters the digital age. Students can fuse original research with media production, producing documentary films and digital history exhibits. Others get to learn about coding, cataloguing, and digital preservation as they digitize archival records for the Bethel University Digital Library. And faculty are leaders in using blogs, podcasts, and social media to connect with other scholars and the wider public. Personal attention and excellent local archives allow our students to make original contributions to scholarship. Our majors are designed to make it easy for students to double major, study abroad, or finish in three years. And with only two required courses, students have a great deal of choice in exploring topics and time periods within global, American, and European history. What can I do with a degree from this department? 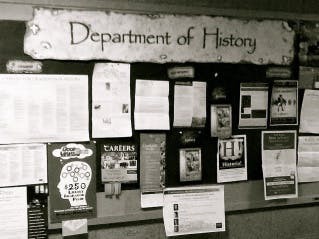 History, digital humanities, third world studies, and social studies education 5–12 majors are critical thinkers, interested in how the past shapes and informs the present digital age. Their broad range of skills—including research, communication, and critical thinking—have prepared them for careers in law, education, ministry, and more. Keep up with department announcements, alumni news, and interesting history tidbits.